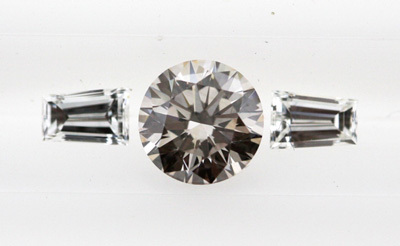 The Fancy Light Pinkish Brown diamond, with its VVS2 clarity and measurements of 5.58-5.62x3.42, has very good polish and very good symmetry. The secondary pink hue complements the richer brown of the GIA certified gemstone. 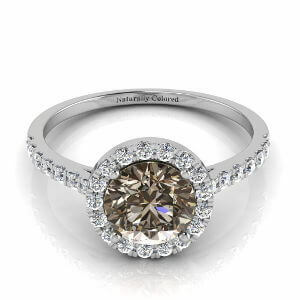 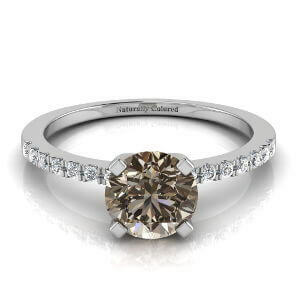 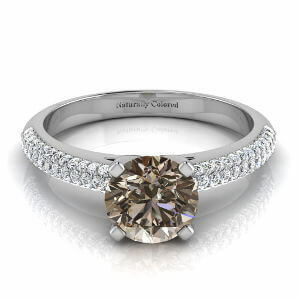 The almost flawless nature of the 0.66 carat diamond makes it perfect for a ring.